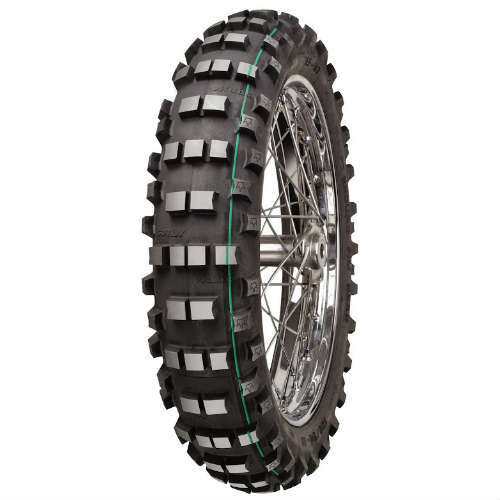 The Mitas EF-07 Super Light Motorcycle tire (green stripe) is made from a slightly softer tread compound than the Super version (yellow stripe). It ensures excellent handling in wet forest and meadow soils. FIM & DOT approved. 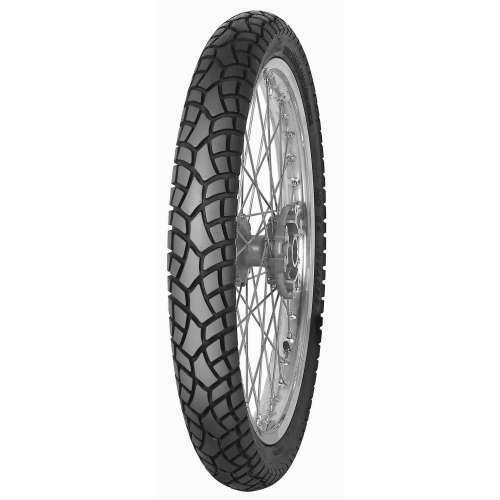 The Mitas EF-07 Super Light Motorcycle tire (yellow stripe) is designed for the toughest competitions and conforms to the current FIM regulations in terms of design and tread depth. 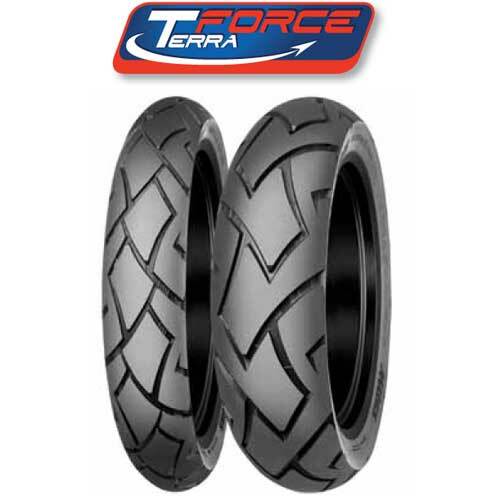 The tread compound is resistant to tearing and cutting, suited for a wide range of terrains. 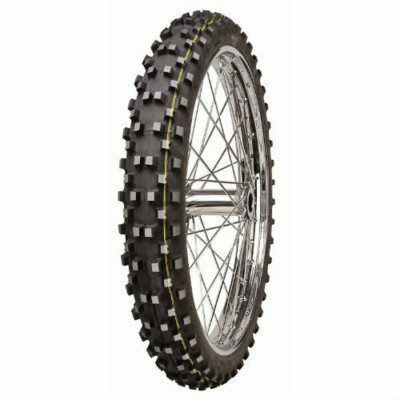 FIM & DOT approved. 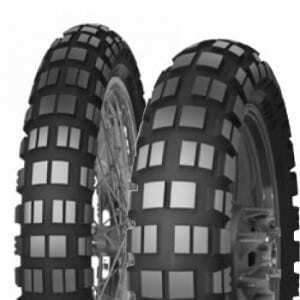 Open tread design ejects mud and loose ground that a trials tyre will not. 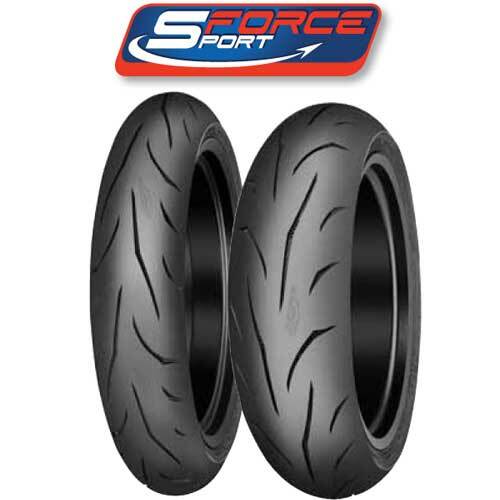 Very good grip properties and slightly faster than the yellow stripe version. The lightweight, flexible carcass with a reinforced shoulder guarantees a large contact surface and good shock-absorption. 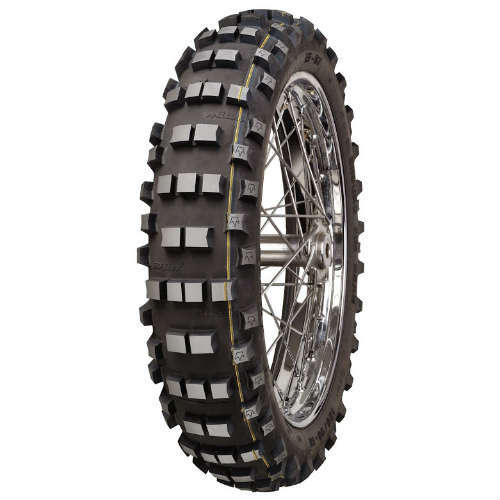 It resists tearing and cutting and is suited for tough to extreme off-road conditions; the carcass is more pliable than with the yellow stripe version.